The classic 1460 boots put Dr Martens on the map back when they were newcomers to the industry and it has been a staple of the DM's lineup ever since. A unisex design, these boots are suitable for women, boys and girls. 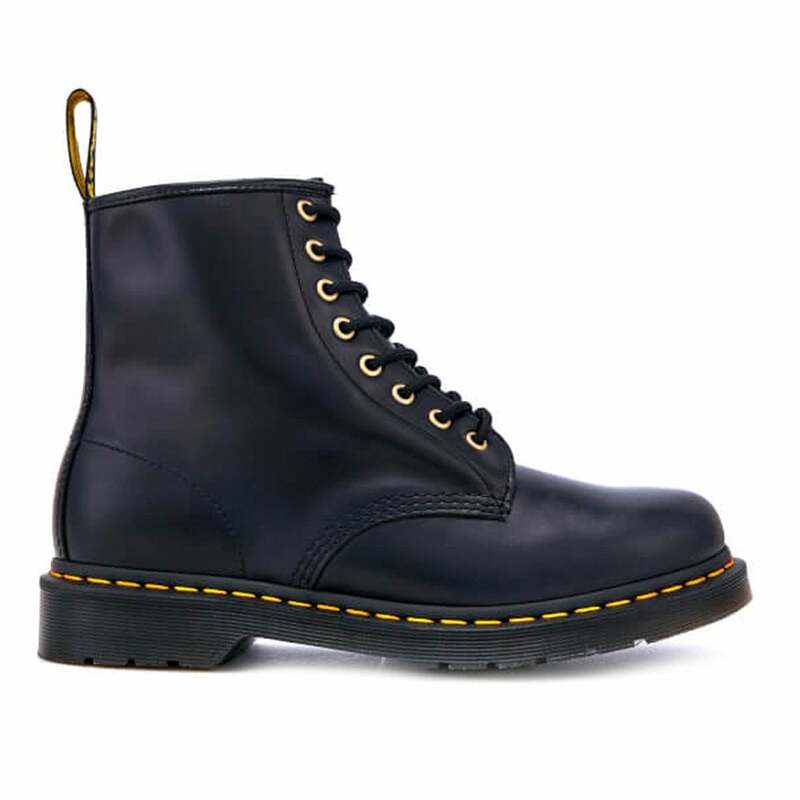 Updated with a supple, full grain leather upper in in navy so dark that it is almost black, these Dr Martens' boots have a deep contrasting pull up, waxy finish and stitched detailing. An 8-eyelet lace-up climbs its way up the front of the leather ankle boots, paraded by metal eyelets and bound by round, black laces. The iconic design of the 1460 leather boots is as popular as ever thanks to its versatility and continual rejuvenation remains a powerful statement. The sole of the Dr Martens 1460 boots is Goodyear welted to the upper with iconic, yellow-stitched z-welt construction and are air cushioned for superior comfort. Perfect for women, boys or girls, the Dr Martens 1460 Aqua Glide ankle boot is distinctive and stylish, and helps to create an individual look. Grab your pair today!